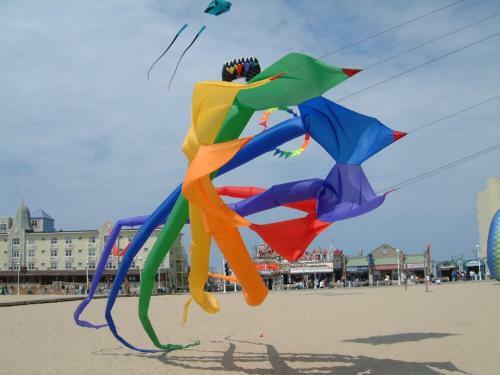 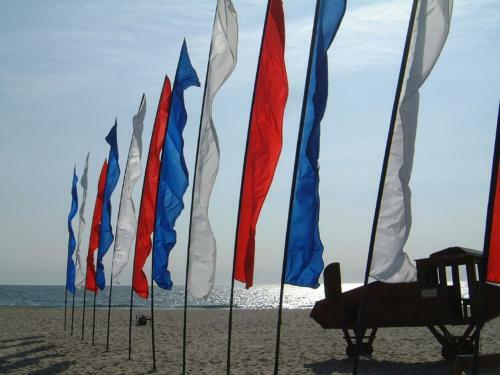 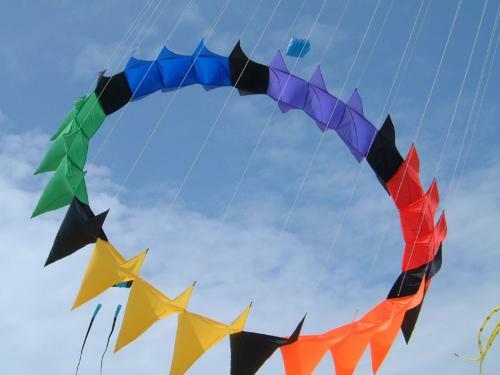 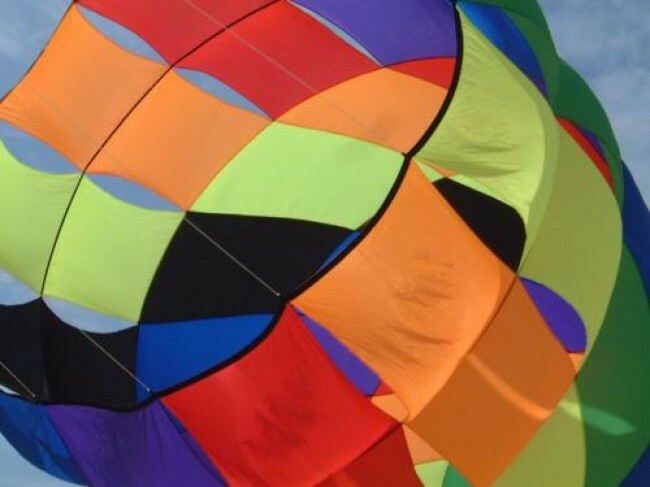 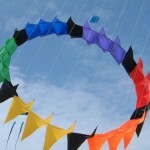 The Maryland International Kite Exposition, or MIKE as it is more commonly known, played host to many world renowned kite builders, flyers and competitors this past April 22-23.The event fills the skies over Ocean City, Maryland with gorgeous colorful kites and happy laughter and fun. 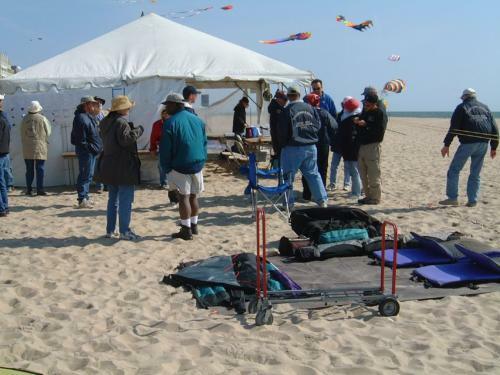 The Mid-Atlantic Sport Kite Championships (MASKC) is held in conjunction with MIKE to comprise the sport kite events of the festival. 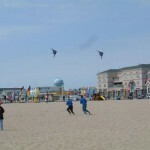 The weather this past year held out, and, despite a chill in the wind, the flyers put on an incredible show for a boardwalk full of eager spectators. 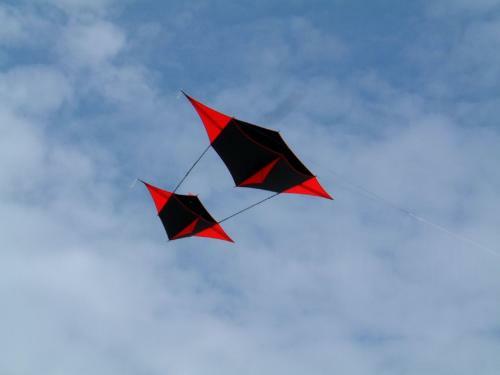 On Sunday, Andy Selzer ran fighter kite competitions for anyone interested, and an organized Classic Rokkaku battle was staged. 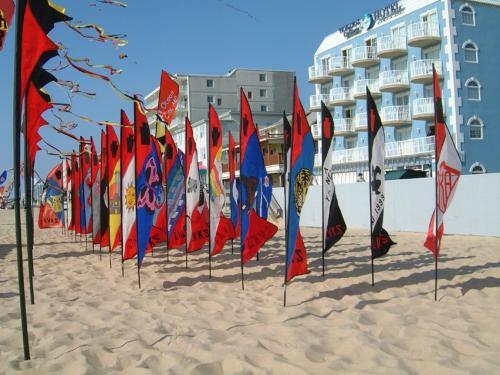 Lehigh Valley Kite Society, South Jersey Kite Flyers, and Wings Over Washington all put on a huge display of large and small banners to decorate the beach. 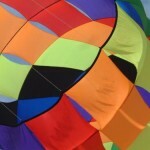 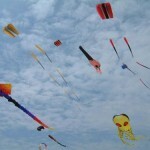 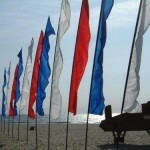 At the Sport Kite fields, Masters and Experienced class held ballet and precision events. 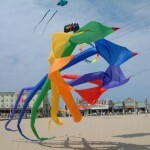 Teams and Pairs were also represented by flyers such as Dennis Smith, Rosanna Rosanova and The Shiva Divas. 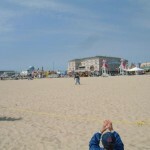 Masters individual comps were attended by Lam Hoac, Dennis Smith, Ron Graziano and many others. 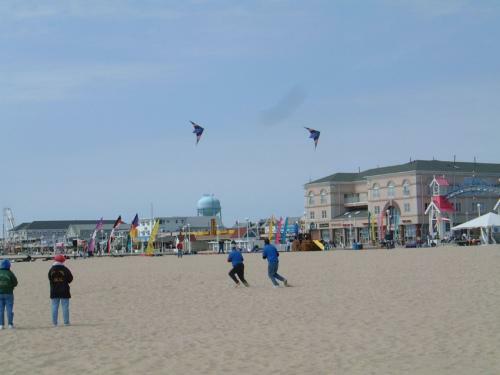 At the end of Sunday, the Hot Tricks Shootout dazzled spectators with a great showing of the newest radical tricks that sport kites can do. 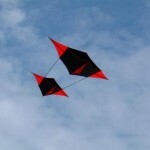 Some of the newer maneuvers, like the Comet, the Roll-up, and the Roto-fades drew great applause. 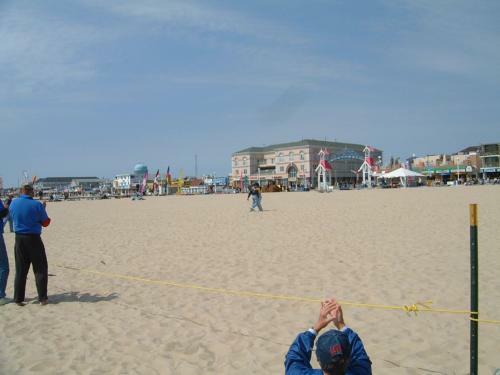 Ron Graziano took away top honors in this event in a final duel between himself and Lam Hoac. 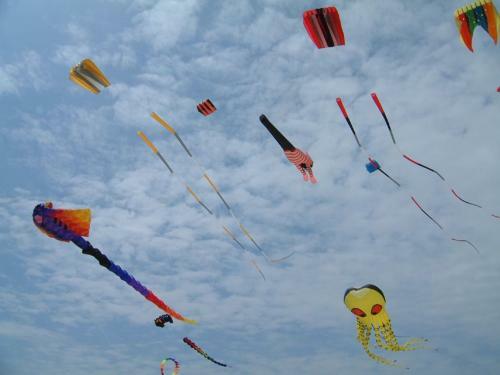 The Maryland International Kite Expo features something for everyone, even the non-kiters in the family. 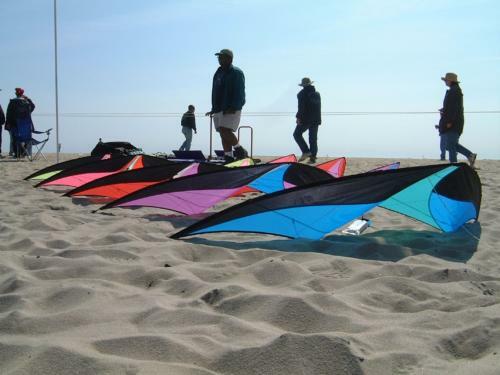 For kiters, there is ample beach for flying, the sport kite comps, the single line field, fighter and rok battles, and, of course, many wonderful kiters to meet and talk to. 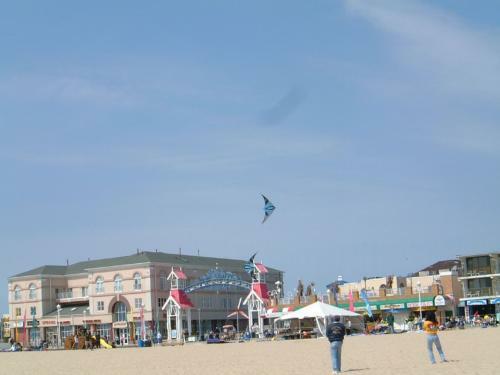 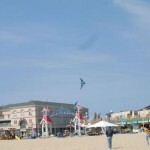 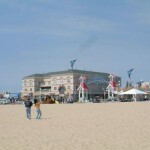 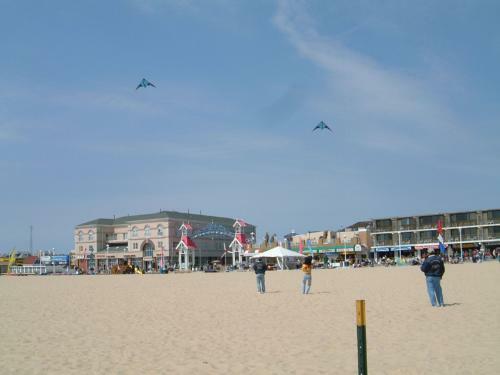 For anyone in the family not into kiting, Ocean City’s boardwalk provides ample rides and shopping distractions, as well as several great restaurants and pubs. 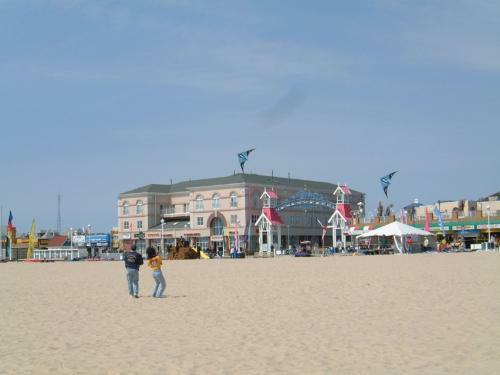 In the city itself are nice shops and mini-golf courses. 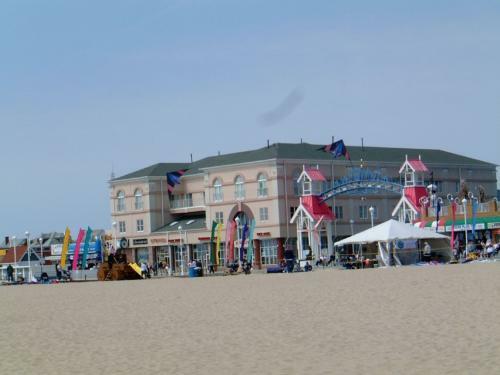 The event is a great family retreat. 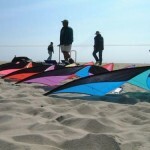 Hosted by the Kite Loft, anyone can learn to fly and get expert help in the store right across the boardwalk from the main single line field. 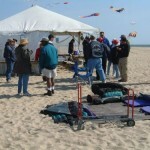 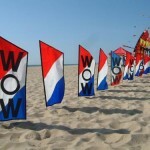 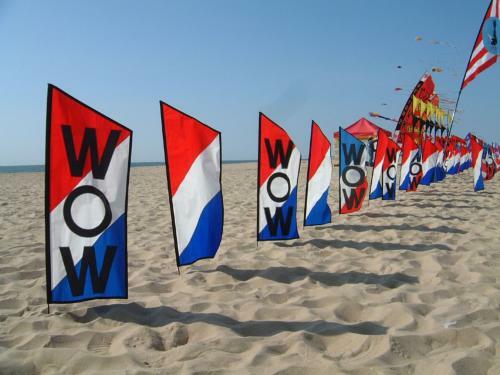 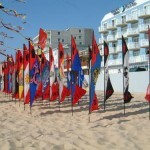 The event is held every year on the last full weekend of April and is a must visit stop on the kiting circuit. 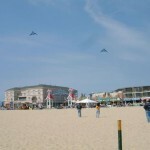 This entry was posted in 2004, Events / Festivals, Issue 37 (Jul/Aug), KL Archive, Reports and tagged festival, maryland, mike.